"A nice quick and fresh snack that is healthy and delicious! This can also be made on pita bread instead of naan." 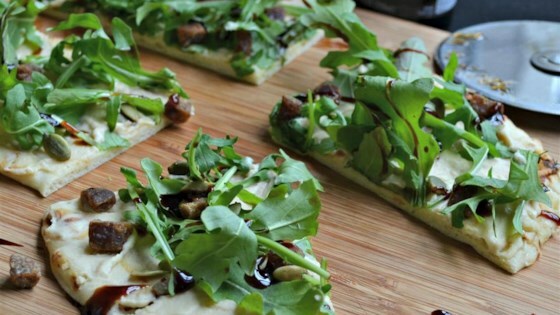 Spread hummus onto naan bread; top with arugula, date, and pumpkin seeds. Drizzle balsamic vinegar over pizza. Awesome recipe! Perfect blend of flavors and easy to make!